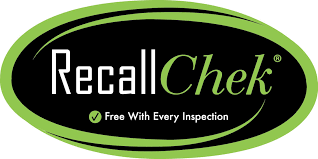 The Lifetime RecallChek Warranty for Appliances is FREE with all of our residential home inspections. This service makes sure appliances are not recalled and are safe and up-to-date. View a RecallChek sample report. For more details about this warranty, please click here.